What I am going to show you today are the 5 skills you need to improve your distance no matter your current skill level. The 5 skill concepts apply to all golf swings, because they are just that: Concepts, and not a method. The best way for you to guarantee you’ll reach your goals is to have a systematic training program. 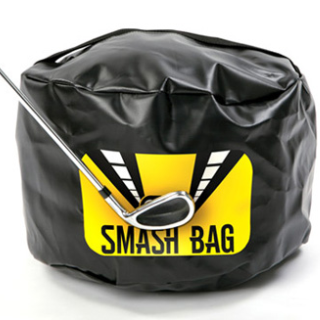 THIS is the training program I developed and used to win two World Long Drive Championship titles. It will help you, too. There are very few things in life as satisfying as mastering a skill and seeing it come to life … when you hit a shot that matches perfectly with the way you imagined it. That was certainly the case for me when I won the World Long Drive Championship. I couldn’t have hit my drive any better. What I am going to show you today are the 5 skills you need to improve your distance no matter your current skill level. The 5 skill concepts apply to all golf swings, because they are just that: Concepts, and not a method. Remember that time when it all came together for you? When you crushed a drive, nailed an iron shot, or drained a long putt? When I teach golf, it’s important to me that you have what I call natural breakthroughs. These are times when the mind/body connection is in total sync: when something “clicks” and you turn information into knowledge that both your brain and body understand. It’s my job to help you play better golf. But it’s my mission to get you to those breakthrough moments – whether it’s more distance, or just recapturing the distance that slipped away. And it is my privilege to do so, because I love this game. No other game gives us the incredible satisfaction of achieving our goals – both big and small – and having those breakthrough moments where it all goes right and we’re playing the very best golf we can play. There’s something inherent in the process of continuous improvement, of reaching new levels of performance that is beyond compare. And let’s face it … the only reason you are watching this video is because you believe, like I believe, that good enough … isn’t. So I’ve organized everything you need to know about what to do in the golf swing to generate distance, and I’ve created a training program around the 5 elements of the golf swing that contribute to distance, so you can systematically train yourself to hit the ball farther. I’ve taken the guesswork out of distance. You know, when I first qualified for the Long Drive Championships, I had the same question as you: How do I hit the ball farther? And even though as a PGA Pro I’ve had excellent training and access to some of the best teachers in the business, I couldn’t find the comprehensive approach to distance I needed. I got lots of good advice, but I wound up getting on what I call the Tip Hamster Wheel. I tried every tip you can imagine. And just like you, all I ended up with was frustration. Now, I’ll be honest with you: I think the golf industry can do a much better job with instruction. 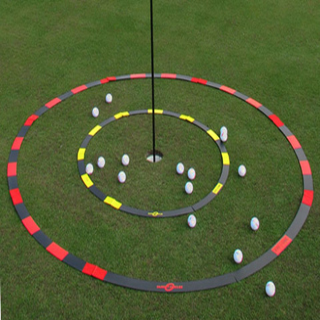 There are more efficient ways for golfers to practice and learn. 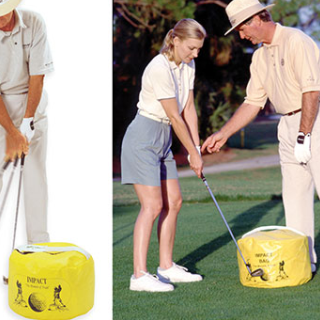 There are more effective ways for professionals to teach the game. That’s why I went back to school to get a Masters in Sport Psychology. That’s why I study pedagogy and innovative teaching methods from leading educators. That’s why I worked with Olympic coaches to understand their approach to performance coaching. Because That’s what it takes to become a master teacher. And that’s why this is a different kind of instruction, because I understand how all the foundational elements integrate and work together to inspire your game to peak performance. I don’t want to just give you a collection of tips that work for a week and evaporate. I want to give you a program with a systematic approach that can help you achieve breakthrough results, organized in a simple way you can understand and turn into action. This is the exact same training program that helped me win the World championship, and it’s the same program thousands of students of all abilities – just like you – have used to make remarkable improvements in their game. gives you feedback so you know you are doing it correctly. You can do it. Because Distance is a skill. It can be learned, and the motion can be grooved. I only had six weeks between the Regionals and the World Championships my first year in long drive. But I added over 20 mph to my swing and I hit a 381 yard drive. I don’t know that I’d ever hit a ball 381 yards before. The following year at a long drive Tour event I hit one 435 yards. So what I’m saying is … not only can you make distance stick, you can keep getting better! So I’m going to tell you exactly what you need to do in order to maximize your distance. And I’m going to share with you the 5 fundamental swing concepts you need to focus on to get those results. Then I’m going to give you a quick tour of the 5 Keys To Distance training program, so you can see how these concepts are put together in a structured program designed to maximize your practice time and bring you lasting results. The first thing to keep in mind is that there are only three things you can do to improve your distance. Of these three, focusing on increasing your Swing Speed will get you the most distance. For every 1 mile per hour you increase your swing speed you’ll pick up almost 2.5 yards of distance. Now the question is: What do you work on in your swing to optimize your Center Contact, Angle of Attack, and Swing Speed? I’m going to give you the 5 Key Swing concepts – and an acronym that will help you remember them. The acronym is BLAST. Now here’s the thing I’ve observed with my golf students when I teach them how to improve in these areas: Mastering just one or two of these concepts easily gets them 10 to 20 more yards. When they start putting together all 5 concepts they start adding 40 … 50 … 60 more yards to their drives. And all their other clubs start going farther too. That’s because these key elements are CONCEPTS. Not a methodology. And the whole program is based on the advanced teaching and learning techniques used by our Olympic athletes for skill acquisition and peak performance. Having a practice methodology and a step-by-step progression is the most efficient way to help you master the concepts, and to add more distance to your game. But the reason I hear this comment so often is that once you understand the concepts you will find the way that makes them work best for You. Your unique physiology. Your unique swing. Your quirks and idiosyncrasies. Here’s what I mean: BALANCE, the B of BLAST, is a concept. Not a methodology. The way you find your balance will be unique to you. Balance is one of the key elements of distance because it’s so foundational. To maximize your club head speed you need to make your most athletic movement. To make an athletic movement, you need to be balanced. To make your most athletic movement you don’t need to be in just any kind of balance. You need to be in Athletic Balance. In the 5 keys to distance program you’ll learn exactly what Athletic balance is, and how you can easily create it in your set up and address position, and why it’ll help you generate more speed and consistency. Let’s take a quick tour of the online site so you can see how the concepts are organized. Balance is one of the key elements of distance because it’s so foundational. To maximize your club head speed you need to make your most athletic movement. To make an athletic movement, you need to be balanced. To make Your most athletic movement you don’t need to be in just any kind of balance. You need to be in Athletic Balance. In the 5 keys to distance program you’ll learn exactly what Athletic balance is, and how you can easily create it in your set up and address position, and why it’ll help you generate more speed AND consistency. Leverage is what allows you to bring maximum force to the impact zone. You’ll learn exactly what leverage is and your two leverage points: your right foot and your upper left arm. Using leverage effectively is like adding high-octane to the fuel line: it allows you to bring a lot more bang to the ball, turbo-charging your core engine for more speed. 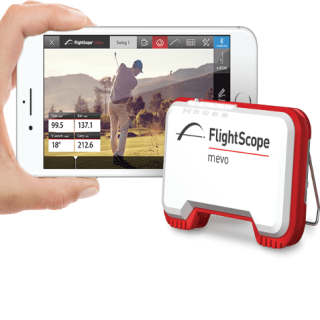 Arc width will help you improve your angle of attack so you can hit drives with that parabolic flight that optimizes your carry in the air and your roll-out when the ball lands. It will also help you generate more speed naturally because your club head will be farther away from your rotation point, and if you generate more arc width the right way you’ll find it easier to engage your core. Because Speed comes from the core: your hips, shoulders, and torso. Your core is like the engine of a car. The faster you get the engine running the faster your car will go. When you have balance, leverage, and a wider arc working the right way you’ll be amazed at how much easier it will be to get more distance in a way that not only feels effortless, but produces far more consistent results. Adopting a target focus brings all the concepts together. With a target focus you’ll keep your core accelerating through impact in a way that allows you to naturally hold your lag longer and release better to your target. It’s how you’re going to get more distance and consistency. So that’s a quick overview of the training program. If you’re ready to get off the tip hamster wheel and get on the express highway to distance, click the “Enroll Now” button below this video now. As soon as you finish your order we’ll get the book and DVD right out to you. I’ll also send you immediately the information you need to set up your account in the Online Training site, where you can access to the same great training material and the online community questions and knowledge base in less than 5 minutes. The program also comes with my satisfaction guarantee. If for any reason the program doesn’t meet your needs, just return the book and DVD for a full, 100% no-questions-asked refund. I’ve had some great feedback so far on the blog. And I know I am going to get a lot more with this video. And I’d love to keep seeing your feedback and answering your questions. So go ahead and go to the comments section and leave me your feedback. Tell me what your number one question is. I’ll gather them up and answer them. Nothing fancy. Just answer as many as I can. So if you want to go deeper, the 5 Keys to Distance program is the right pathway for you. See you down the fairway. WAAAAY down the fairway.